According to an October 2018 report from the Urban Land Institute, overall energy use by commercial properties is decreasing across three key areas. In addition to a 3.3% reduction in overall energy usage, the report also showed a 3.4% reduction in carbon footprints and a 2.9% reduction in water usage. In total, the report indicates a 13.9% reduction in energy consumption by member companies since 2009. Since the report was compiled by the Greenprint Center for Building Performance, it accounts for nearly 4% of the global commercial real estate industry. In total the report covers 7,950 properties representing 2 billion square feet of commercial real estate with an estimated market value of $760 billion. Overall, the report demonstrated a 133,485 megawatt-hour reduction in energy use. While this might just sound like a number, it represents a massive reduction in energy use. This is because the typical cost for 1 megawatt hour of energy is around $150. Consequently, the properties analyzed in the report lowered energy costs by approximately $19,000,000. More importantly, consider that 1 megawatt can power roughly 750 homes, according to the California Department of Energy. These numbers also indicate that while lowering a commercial property’s energy use is important, lowering carbon emissions also has a major impact on the environment. While many commercial properties have already retrofitted their lights to LED, the overall market penetration of LED lighting remains low. In fact, LED lighting only accounted for 35% of the global lighting market in 2017. Despite the short payback periods and proven track record of LED lighting, thousands of commercial properties have not retrofit their light fixtures. 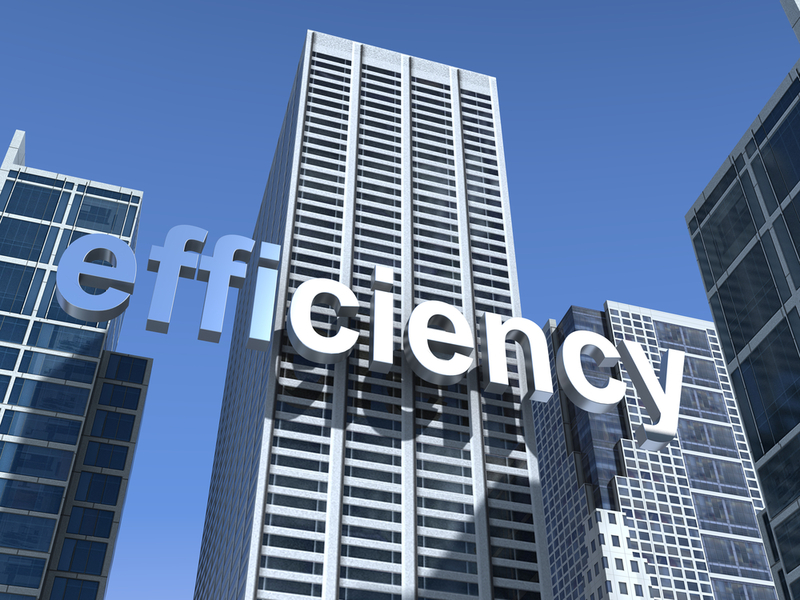 As a result, it remains the best option for lowering a commercial property’s energy use. For a free LED retrofit quote, click here. According to the report, companies spent over $6,000,000 on HVAC projects to cut energy consumption. Tishman Speyer is noted in the report for replacing all the HVAC equipment at 45 and 50 Rockefeller Center in New York City with 61 state of the art chiller tanks. As a result, cooling performance remained the same while energy consumption was cut by 60%. The payback period on the project is 7 years. While HVAC upgrades and lighting retrofits are obvious ways to cut energy costs, waste management projects are not. They are, however, an effective way to lower energy use and costs. One way properties are doing this is through solar powered trash compactors and recycling stations. PGIM Real Estate has installed solar powered trash and recycling stations at shopping centers nationwide. As a result, there was a reduction in litter, increase in recycling rates, and lower property maintenance costs. Consequently, the project had a 5 year payback period and an annual return on investment of 13.3%. Looking to lower your property’s energy usage and utility costs? Tell us about the type of energy project you are interested in using the form below and let the BidSource team find a qualified contractor for your project!